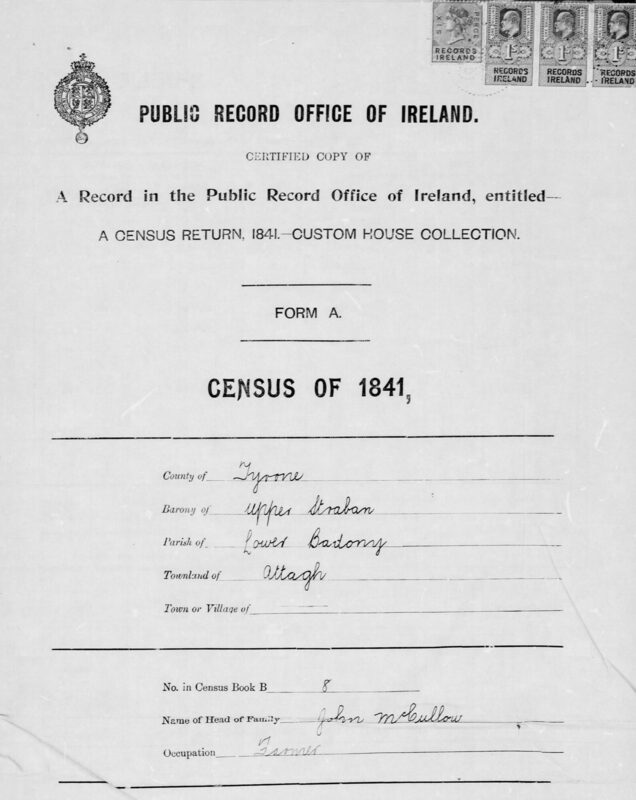 Census was taken 66 years ago. I was then 8 years old making my age now 74 years. 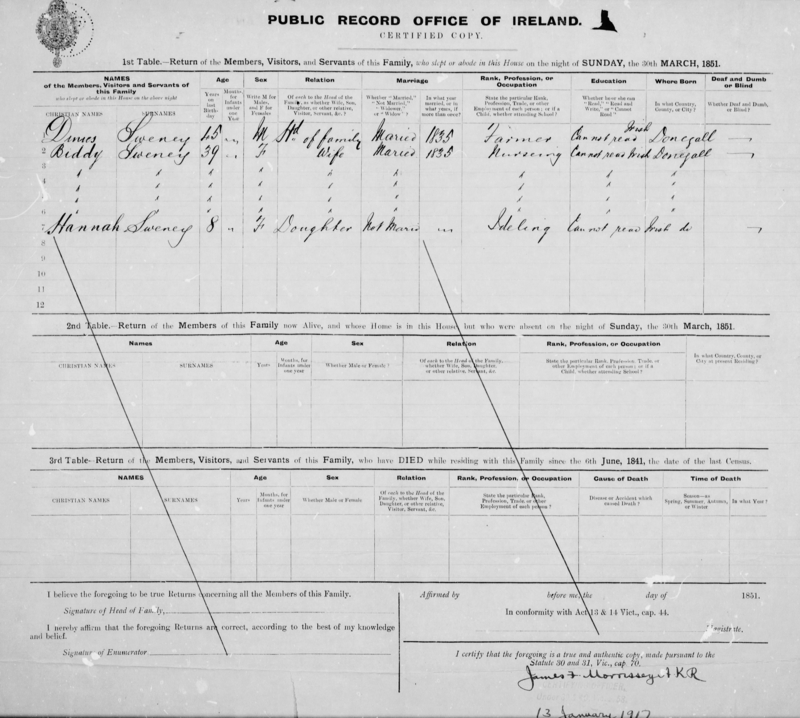 Line 7 of record from Ireland shows my record. If you can furnish a public, church or family record showing the date of your birth, or any other proof showing that you are over 70 years of age, you should do so, returning this letter with the evidence submitted. 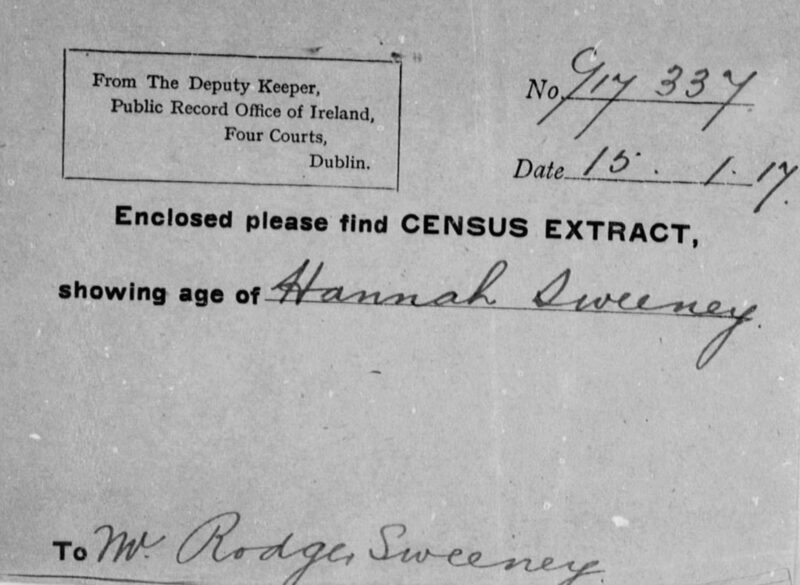 Hannah had her agent contact the Public Record Office of Ireland for evidence, and received the below covering note from the Four Courts. Also enclosed was the certified copy of the 1851 Census, showing Hannah as an 8-year-old in Arryheernabin townland, Co. Donegal, details sufficient to prove her case with the Pension Bureau. 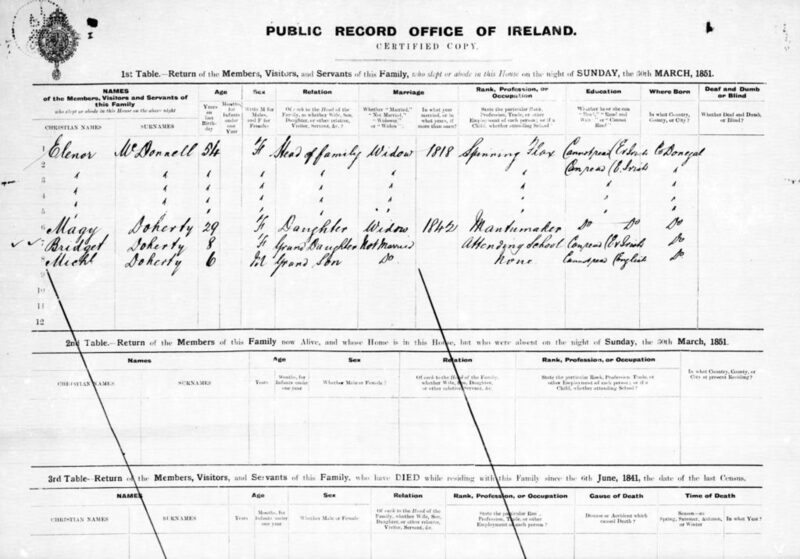 The Census extracts further demonstrate the sheer range of Irish documentation that can be found in American military pension files, symptomatic of a large emigrant population who often had to reach back across the Atlantic, and across decades, in search of the official documentation they needed to secure monies in later life. National Archives of Ireland: History of Irish Census Records.